All the years I have been bass fishing, I feel that August is given a bum rap by the press. It has always been one of my favorite times to fish, but it is different than June & July. 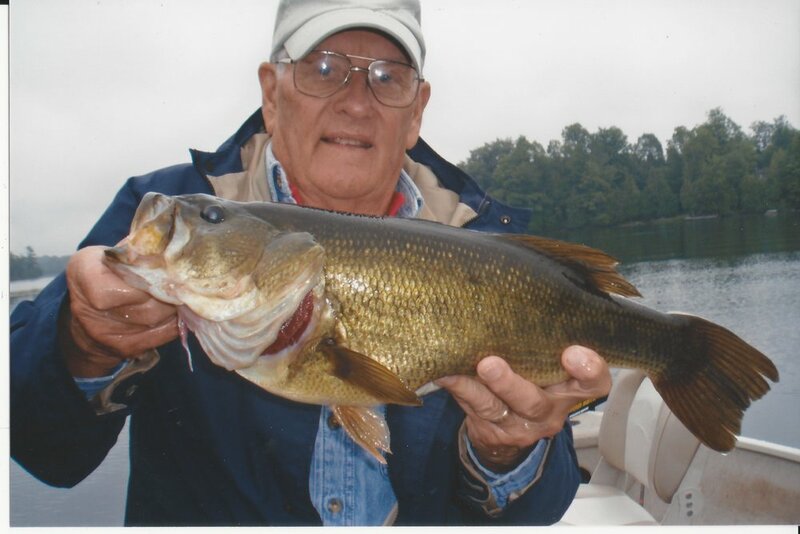 The weather is usually steady, which makes it easy to figure out what will pull in bass. Here are some tips that I've found work exceptionally well in Newboro Lake in August. As always, I love to talk fishing and am happy to set you up with a map of marked spots for you to try on your trip to The Poplars Resort. August is not a time to work your medium-light spinning rod. You need at least a medium-heavy rod with a stiff backbone & 20lb braid, if you are using a spinning rod. The most fun a bass angler can have is with a bait caster in the heavier weights - medium-heavy to heavy. The rod of choice is a 6'6" to 7'6" bait caster with 40lb to 50lb braid to pull the bass through the heavier weeds of August. If you have a flipping stick, now is the time to bring it out, but there's no need to make a special trip to Cabela's... wink, wink. If you like worms, you can have great success with wacky worming, either weighted or Texas-rigged, along the inside & outside edges of mats & pads, usually in clear water. You can use your spinning rods here - just keep your worms on the small side, 4" to 5" and with lighter weights of up to 1/4oz, in depths of 10' to 12'. On your bait caster, you can use some heftier worms, such as weightless 10" or Big Flappin' Shads. Frogs retrieved slowly through the mats & pads will also get you some great topwater action. Look for spots where there is an edge between two kinds of weeds for this technique. If a crankbait is more up your alley, try a square-bill model as they are relatively snag-free because the lip shelters the treble hooks a little more on your retrieve, and will be effective on days when the water is darker. Most successful colors to try in August tend to be natural - such as black, blue black, watermelon, and pumpkin, due to the clear water. August water is still summer conditions, being clear & warm. 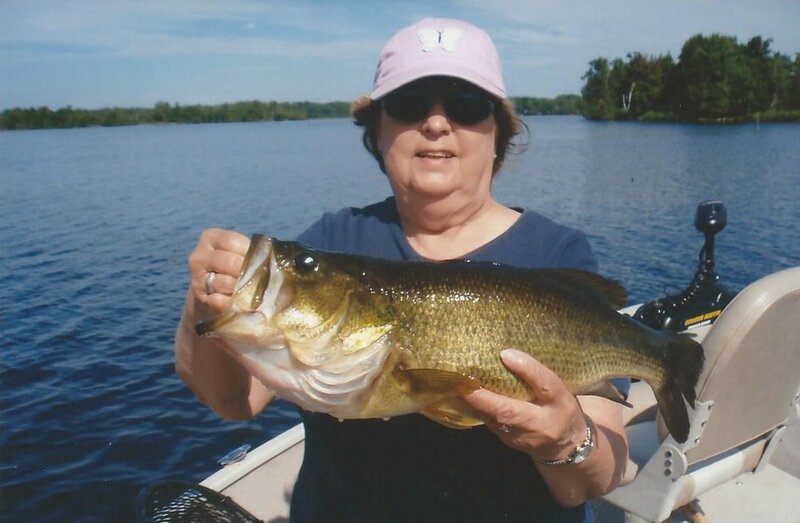 While the weeds are heavier than earlier in the summer, it creates a lot of structure for the bass and is the perfect environment to attract the big ones. If you like to fish the slop, August is your month. 1/2oz to 3/4oz jigs with trailers on a heavy rod nearly guarantees you action, or a creature bait, such as a beaver or brush hog. Keep your presentation slower and use a pitching technique with any of these lures - see a video example here and here. If you'd like to drop a line in August, give us a shout at info@poplarsresort.com or 1-888-686-1891 and we'll "hook" you up! All fish in this blog post have been caught in the month of August, while staying at The Poplars Resort.